Introducing the Audible.ca Distribution Channel! Hot on the heels of announcing ACX opened its doors to Canadian authors, publishers, and narrators, Audible has announced the opening of Audible.ca. This means even more great news for ACX authors, because we’ve automatically enrolled your audiobook in this new distribution channel if you selected Worldwide distribution rights or included Canada as one of your distribution territories on ACX. You’ll continue earning the same great royalties paid monthly, while enjoying readership from a new class of listener. 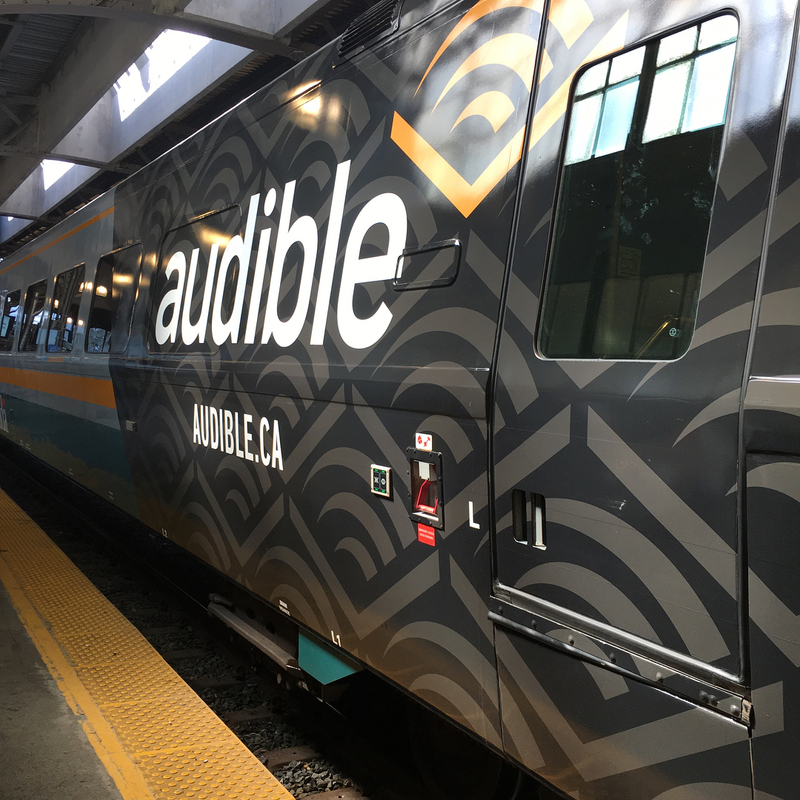 Audible kicked off their dedicated Canadian digital storefront with a train trek from Toronto to Montreal, leading with readings of Margaret Atwood’s The Handmaid’s Tale by Elisabeth Moss. Read all about it, or find more inspiration right here: Last week, we concluded Canadian author Susan Hayes’s audiobook diary on the ACX blog. And what can you do to promote your audiobooks in this new marketplace? Get ideas at ACX University, now in session, with tips and ideas for creating and promoting award-winning audiobooks. Have questions? Visit our Help Center for answers. This entry was posted in Using ACX and tagged ACX, acx canada, acx university, audible canada, Audiobook Creation Exchange, make audiobooks. Bookmark the permalink. Awesome! Will the US audio codes work for Canada, or do we need to request ones for CA? I’m glad to hear it. i got my free codes. i want to create a free 30 day trail page for my book to redeem codes .. on audible.ca … how does that work? Subscribe to the ACX blog! Like the blog? “Like” ACX on Facebook!